Before you know it, you’ll be busy in the field. Now is the time to button down your budget and put your grain marketing plan in place. As most of us know, it’s very easy to put a plan in place over the winter only to watch it fall apart due to inaction during the growing season. A bull market can be a bully! It bullies you into regretting past sales/hedges and leads to costly inaction and complacency. Now is the time of the year to build your plan and put in place with your grain merchandisers and/or broker via open orders. No one can tell you how to build a perfect grain marketing plan. 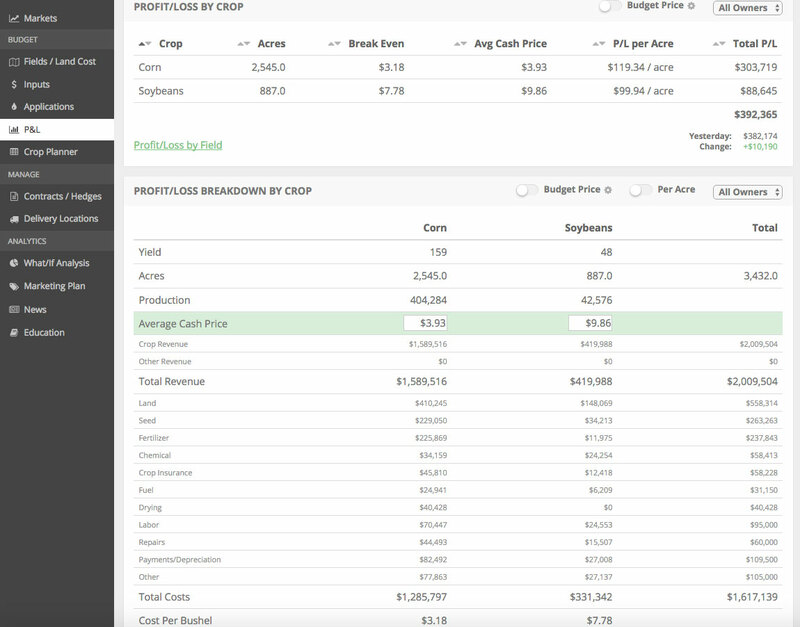 Our farm management software can help you build a numbers-based, profit-focused grain marketing plan. Watch the video below for a quick demo. These plans can definitely be built without the aid of a software package. Spend a couple hours in the next few days to put your plan in place. If you’d like to get access to a free demo account to see if our software is a fit for you, click the button below to try it out.